The Art of Minimalist Web Design	How to tell When It’s Time for Redesign of your business website? Royal Deer Design is thrilled to announce being accepted to matchist.com. Why is being added to matchist such a big deal? 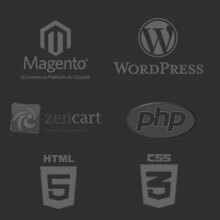 Matchist is a sophisticated version of an eLance type of site that connects companies with top U.S. based developers and development shops. Developers on matchist go through a strict elimination process with the acceptance rate only at 15%. How does matchist work? Imagine being a freelance developer or a development shop that can now focus on actual work instead of trying to scout out jobs and dealing with all of the legal and payment process. Not only are developers able to have better time management, but the projects are all specifically matched to their skills and experience levels. Matchist takes pride in making sure each freelance developer and/or development shop is the real deal in their particular field and even checks with former clients during the screening process. The overall screening is to make sure freelancers and shops can be given a job and it’s successfully completed. Entrepreneur Stella Fayman is no stranger to development when it comes to being a part of a new company. She was a founding member of FeeFighters, a venture backed payments startup which was acquired by Groupon in 2012. She also was the co-founder of Entrepreneurs Unpluggd, a website dedicated to entrepreneurship education. A column in Forbes and she was also recently named one of Crain’s Chicago Business “20 in Their 20s.” Therefore, she has a strong background in developing and executing an idea. She and co-founder Tim Jahn saw a terrific opportunity to better assist great projects and recruit top of the line candidates for the completion of each development project. 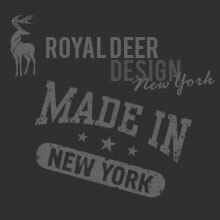 Royal Deer Design is looking forward to all of the projects headed our way and will continue to strive in quality work with our client’s best interest always being our number one priority.